See Shipping Policies for discounts on combined shipping and free shipping coupons. Love this bracelet! Seller delivered promptly. A pleasure to deal with. A refund was issued for the item which was listed as available by mistake. Tolle Statementkette mit wunderschönen Details. Das ist eine der schönsten Stoffketten, die ich habe ! Ling began making dolls in 2007. Her first doll was a cloth doll version of Marilyn Manson. 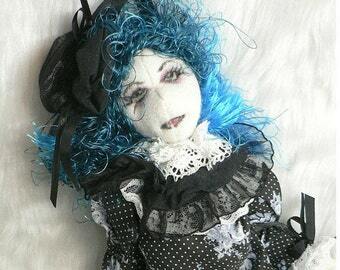 Since then, she has made numerous Goth and Punk dolls, branching out into bunka dolls and other soft sculpture. 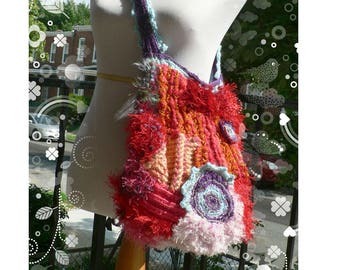 Ling is also a hoarder, with an enormous stash of yarn and textiles so SugarPunk also stocks knitted purses and other sewn items. She hopes to make more gothic items but occasionally, she likes to add some sugar to the punk! Ling is a dollmaker and crafter residing in Singapore. 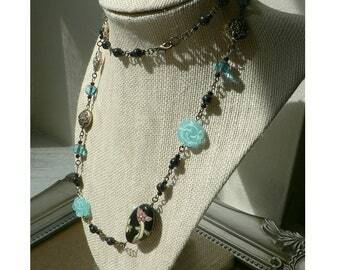 Check out SugarPunk on Facebook for latest updates on my creations! Please send me a convo if you have any queries on shipping or non-delivery. I'll be more than happy to reserve an item for you, just send me a convo. All items are shipped via USPS mail from Maryland, USA. Knitted bags to US addresses are shipped by Priority Mail due to their weight. Art dolls to the US addresses are also shipped via Priority Mail. Send me a convo if you require expedited shipping. 1. Pay for shipping for only one piece of jewelry items (earrings, charm bracelets and necklaces) if you buy two or more jewelry items. E.g. 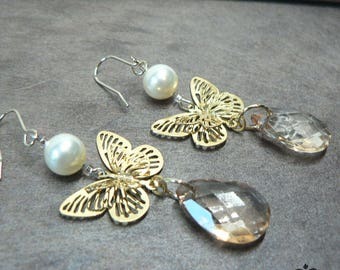 a pair of earrings + 1 necklace, pay only for the shipping for the earrings. 2. 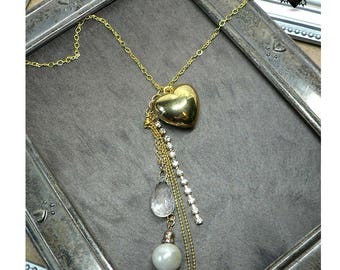 Pay only the shipping for the larger item e.g a purse + jewelry, a doll + jewelry. Not applicable for two purses, two dolls or purse and doll. Discounts are sometimes not be reflected on checkout so please send me a convo to clarify. The shipping costs are included in the checkout so I can print the postage label. However, I will reimburse the shipping cost as soon as I receive the order. Is it a gift? Let me know so I can use an un-marked box. I usually use USPS boxes or recycled boxes. A message can be included (A4, inkjet) for no extra charge, just let me know via a note or convo. Custom orders are welcome! I love to create toys for those non-Hallmark occasions.